Excellent like new plan for the little Japanese lady. 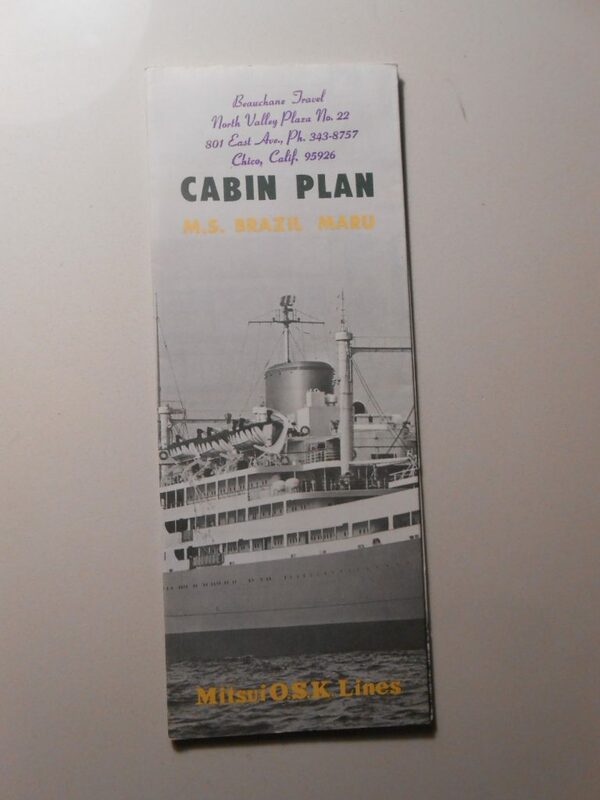 The deck and cabins are color coded ... and the pages include some interior photos. Chico California Agency stamp.